Enjoy one bottle of Champagne on us! Party times are Saturdays and Sundays at 12 PM and 4 PM. Inquire about custom dates and times. "Everyone was thanking me for coming up with such a unique celebration!" "The new way to sip + paint your face... conscious beauty at its best." For every #facecakeforacause photo on social media, we donate a Savor Beauty product to a woman in need. We support shelters that empower women in the New York area. 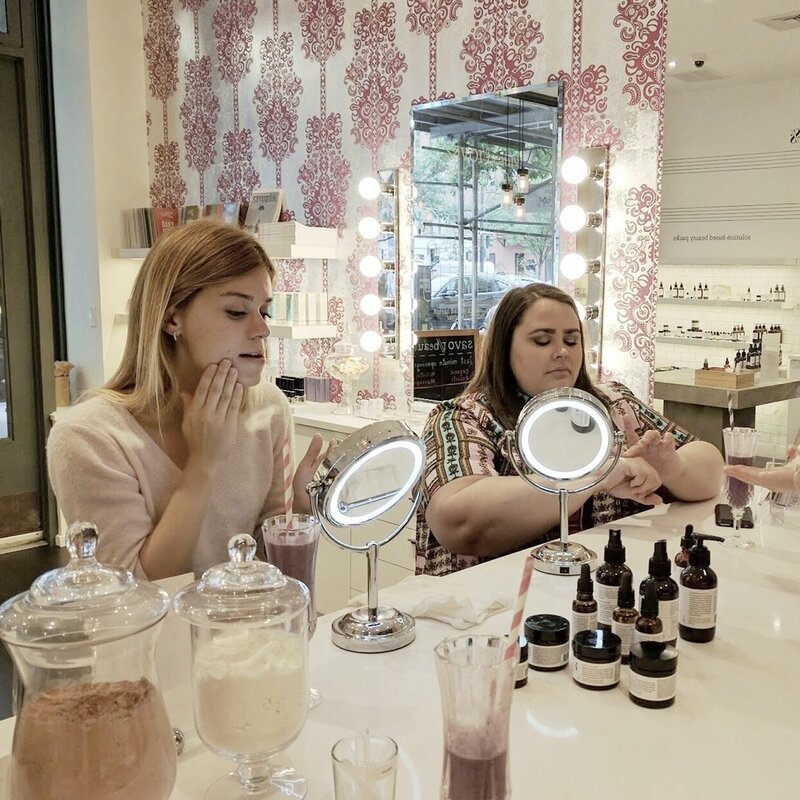 See why this brand is taking the beauty world by storm with its transparency about ingredients and passion to teach women supreme self-care. K-beauty meets clean ingredients. Good for the skin, good for the soul, good for the world! "i love that we got together for each other and for other women, too. #facecakeforacause!" In order to book your Face Cake Party, inquire first if your dates are available!